We're always curious how our favorite crags are doing when we can't be there in person. The following are some webcams you can use to scope out current conditions anywhere from Cathedral Ledge to Everest. Learn more and book your stay now! Courtesy of Seneca Rocks Mountain Guides. 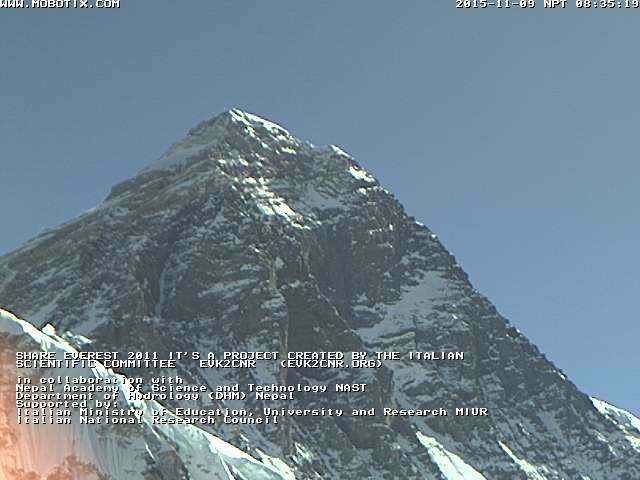 Courtesy of Kala Patthar Real Time Data.